As the political intrigues linger, import and export activities at the nation’s gateways have significantly reduced owing to the uncertainty trailing the polity at this critical period. This is even as Nigerians continued to count their losses over the cancellation of the Presidential and National Assembly elections earlier scheduled to hold last Saturday. The Federal Government had closed the borders between Friday noon and early Saturday morning, when the Independent National Electoral commission (INEC), announced the postponement of the elections till next Saturday. The closure of the land borders may have cost the nation billions of naira in revenue losses, as international trade was halted for several hours before reopening. Although, the ports are still open for business now, The Guardian gathered that business activities have reduced considerably at the TinCan and Apapa Ports in Lagos, while Calabar, Warri and Port Harcourt seaports are not also faring better due to uncertainties trailing the elections. 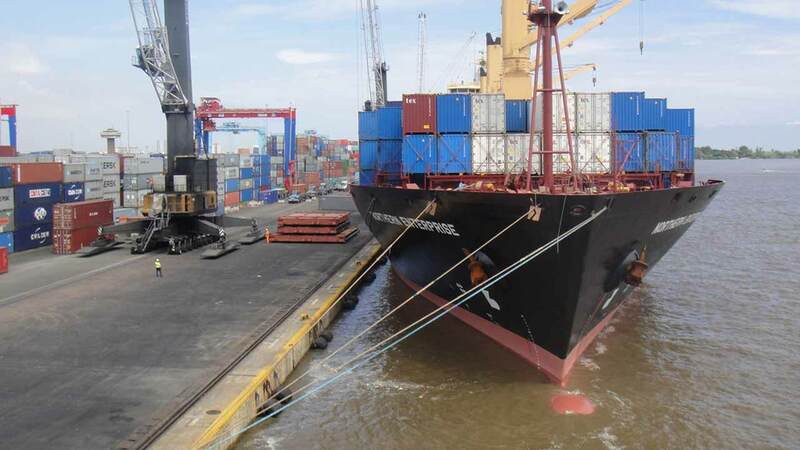 Latest shipping position released by the Nigerian Ports Authority (NPA), showed that a paltry 12 out of the 21 ships expected into the Lagos ports between February 19 and March 2nd are carrying cargoes, while the rest nine are empty containers. Also, the entire eight motor vessels awaiting berth at the Lagos pilotage district during this period are empty containers. It was observed that many of the clearing agents who usually thronged the ports environment for business have vacated the ports; pending the outcome of the elections, save for the few that have critical deals to strike. Besides, most of the tanker drivers that usually slept in their vehicles on Apapa Road have sought for rest in other locations, while the port area is scanty. Terminal operators also confirmed that cargoes handled during the period were relatively low, as importers’ apprehension over national elections held back transactions. When contacted, a terminal operator and Managing Director, Ecomarine Terminals Limited, Moruf Adedayo Balogun, said many economic issues and policies, which are being influenced by the political class have had severe impact on the maritime sector since the beginning of the transition plan. He cited a situation where the budget has not been passed due to political intrigues between the executive and the legislators, which is stalling investment decisions by many business entities. Balogun added that many of the policies that should spur importation are still hanging, as many corporate and private businesses are waiting for the outcome of the general elections before unveiling their plans for import or export. The same story is being told at the borders, which also recorded reduced trade, even though the Nigerian Customs Service, (NCS), assured of effective strategies to tighten all the land borders in a move to combat any means of illegal inflow of arms and ammunition that may jeopardise the peace of the country at this election period. This position, which was confirmed to The Guardian by the Customs spokesman, Deputy Comptroller Joseph Attah, is apt, given the rising fear among stakeholders on the security at the nation’s porous borders during the elections. This follows the recent interception by the Customs of some arms, ammunition, and other dangerous materials smuggled through the borders. But he said the Customs has deployed more officers and intelligence, (including other measures that were not disclosed for security reasons), to fully secure the borders. Attah, in an exclusive chart with The Guardian, had said the Customs was fully prepared to protect the borders, and had mapped out strategise to tighten the boundaries against smuggling of contrabands. Recalled that the Federal Operations Unit (FOU) Zone A of Customs, had also last week intercepted bales of illegal police uniform, tear gas canisters and other paraphernalia of the Nigeria Police, which it described as a threat to national security.